Five different characteristics play a role in determining the clarity grade of a diamond, and one of them is the type of inclusion. (Other clarity characteristics are size, color, nature, number and position.) A diamond’s characteristics play a very big role, one that goes way beyond its clarity grade. 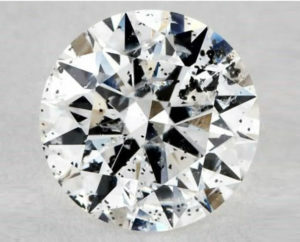 For example, the unique imperfections in each diamond go a long way as an identifier. 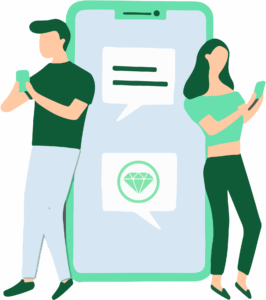 No two diamonds are alike, so becoming familiar with your diamond’s inclusions would help you identify your particular diamond, which should give you a measure of security! 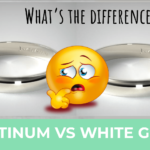 Another advantage is that the inclusions that natural diamonds have are different than the flaws you would find in imitation diamonds or those grown in labs. 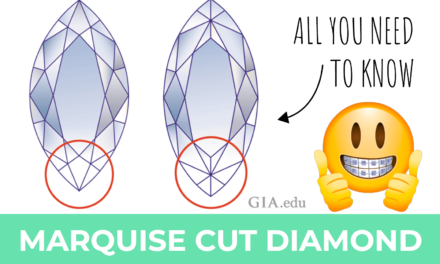 Inclusions can give you irrefutable proof that a diamond is of natural origin. 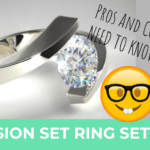 Once you’ve read this article, you will know about the various types of common inclusions you’ll read about in a diamond’s grading report. 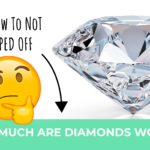 This article contains a compilation of the most commonly found diamond imperfections and what to look for before making a purchase. A pinpoint is a very tiny mineral crystal inclusion inside the diamond that may actually be a diamond crystal. It’s no larger than a speck of dust and nearly impossible to see, even with a trained eye looking through a magnifier. A pinpoint would certainly not be visible to the naked eye. 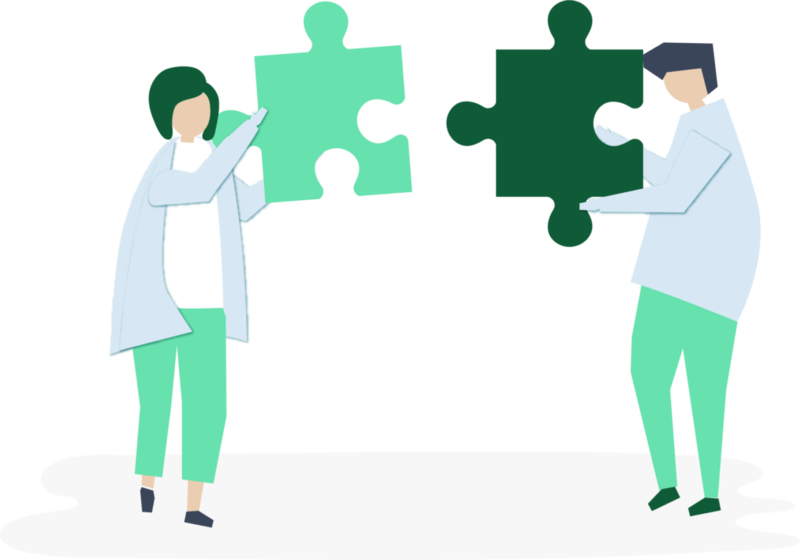 Pinpoints often come in clusters or groups. Sometimes these clusters are so tiny they appear as a haze called “clouds” because this is what they look like. Dark crystal: medium to dark color tone. Needle crystal: long and narrow, shaped like a rod. Knot crystal: reaches the surface of a diamond, like a knot in a piece of wood. Very rarely these crystals can make a diamond look even more beautiful. This is when they appear in the shape of a dolphin, heart or bumblebee. They are most often without color or in shades of white. But, they can also come in any color, whether black, shades of gray, green or red. This type of crystal inclusion is considered a bonus gemstone within the diamond! A small feather (sometimes called a cleavage) is a diamond inclusion that appears to be a separated area or void within the internal structure of the diamond. These are usually not seen by the naked eye, however larger feathers that are found in diamonds with a clarity grade of SI may be visible. Diamonds with clarity of I2 and I3 that appear to have large feathers may have problems with structural integrity, which can be of concern. 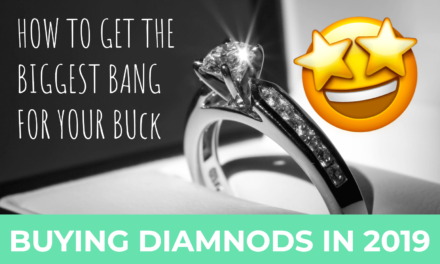 These would be among the diamond flaws to avoid. 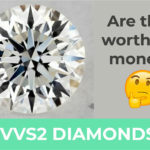 Diamonds with a higher clarity of VS and above could still have feathers, however these are not as worrisome. Twinning wisps are a string of tiny pinpoints or clouds. They can also be crystals that formed as a result of an irregular crystal structure. Grain lines or grain line groupings are often colorless and nearly imperceptible resulting from irregular growth patterns that occurred during formation. Both diamond imperfections are examples of a natural disruption that occurred thousands of years ago. This type of inclusion is a dent in the actual diamond itself. It comes with a section of the diamond’s original unpolished surface skin left there on purpose. This flaw is typically found in the area of the girdle. 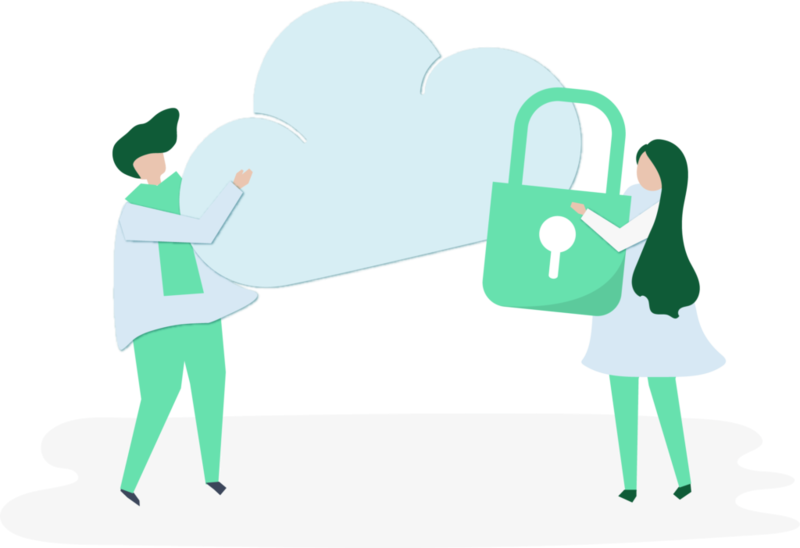 A cavity is a small, but deep concave spot that is usually the result of a crystal close to the surface being accidentally removed while the diamond was being cut and polished. 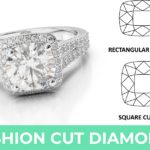 These are usually small shallow irregular cuts or nicks in the diamond, usually found on the edge of the girdle. This concludes our description of the most common types of diamond inclusions. 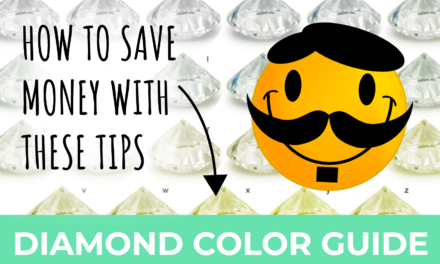 You should also know that any diamond that has a VS grade or higher is most likely going to look “clean” to the eye. The Gemological Institute of America (GIA) will disclose all the inclusions that affect a diamond’s clarity on its unbiased grading certificate. Not all the flaws or inclusions that are found on diamonds are equal. You can have an inclusion that is off to the side on a round brilliant cut diamond in the pavilion area that would hardly affect the diamond’s rating and clarity (everything else being equal), whereas the same type of flaw if it was right under the table close to the surface would be very noticeable. The former would be very acceptable; the latter would be the type of diamond inclusion to avoid. In the same vein, a bright shiny inclusion would be far more noticeable than a semi-transparent flaw. 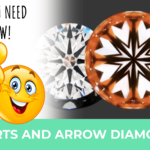 When assessing diamond imperfections, where it is and its color are equally important to its type and size because the bottom-line is how easily it can be seen by the naked eye. Dark crystals that look like carbon crystals or black dots are the most noticeable diamond flaws. 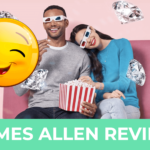 Because they very much detract from the diamond, these would certainly be among the types of diamond flaws to avoid. At the same time, chips can easily be seen and once a diamond has a chip, it’s considered damaged and is more prone to chipping again. 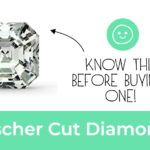 A chip not only ruins the diamond’s visual appeal, it also weakens the structure. 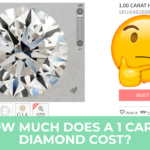 Keep in mind that when you shop online for a diamond you want the diamonds to have a GIA issued diamond certificate that you can also view. You should only shop at stores that only carry GIA graded diamonds. The GIA certificate will show the carat weight of the diamond, its color and clarity. 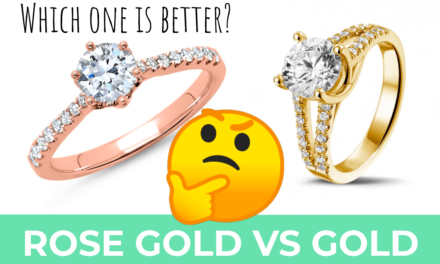 Rose Gold Vs Gold – Which One is Better?